Think about it; business is about our customer, not about our product or services. When we put all of the attention on our products or services we forget about the most important component that keeps our business running: customers. This is why providing outstanding customer support is extremely important. Excellent customer support will more than likely create loyal customers for life. The CARP system was developed by Robert Bacal in his book ‘Defusing Hostile Customers Workbook: For the Public Sector’ to help people in customer service jobs deal with hostile customers in a more timely, efficient manner. Control – The customer attempts to control the interaction, by causing you to become defensive, angry or off-balance. The key in reasserting control is to behave in ways that send the subtle sub message “your techniques are not going to work on me”. Acknowledge – It is important that the angry person see that you understand his/her emotional state and the situation. So, when we talk about acknowledging, we are talking about two major techniques, empathy and active listening. Refocus – Refocusing involves making the transition from dealing with the emotions to dealing with the actual problem. Problem-Solve – Problem-solving involves actions like getting and giving information, suggesting possibilities and appearing helpful, offering choices as available, agreeing on a course of action and following through. Non-responsiveness can be a nightmare to a customer who is trying to resolve an issue, get help or even simply trying to find out more about what you are selling. Speed is especially important when your customer is requesting something that is time sensitive. Even if you don’t have an answer yet, let them know you are looking into the issue and will be back in touch as soon as possible. Providing a prompt response will not only show them you care, but will also make them satisfied and more likely to recommend your brand. It is extremely important to listen very carefully to what your customer is communicating to you. Make sure you totally understand what they are saying and don’t hesitate to ask for clarification on things you are not completely sure of. It may be that your customer is unfamiliar with certain terminologies in your profession and could mean something completely different than what you initially thought. Making sure you understand the first time will prevent frustration from your customer. Having someone available to answer a call or chat is not the same as having someone to help the customer. Be aware of the customer needs and be sure to show respect; treat them the way you would want someone to treat you. Make sure your main focus is that the customer walks away happy; never let your own emotions take over that desire. Always ask yourself if you were treated the way you just treated your customer would you enjoy that experience? If not then make note of it and work on ways to help yourself be better prepared for that situation in the future. Think of yourself as an expert in your profession and an adviser to your customers. Make sure you know your products and services like the back of your hand and stay up-to-date with them. Always be ready to answer questions clients may have. Take note of the most common questions customers have and make sure you are able to give them a clear answer. If your customer gets the idea you don’t know what you’re talking about they will probably look elsewhere. Think before you make promises. If you are not 100% sure you can offer what you are promising, don’t. Broken promises will damage customer relationships by destroying trust and make your company look unreliable. 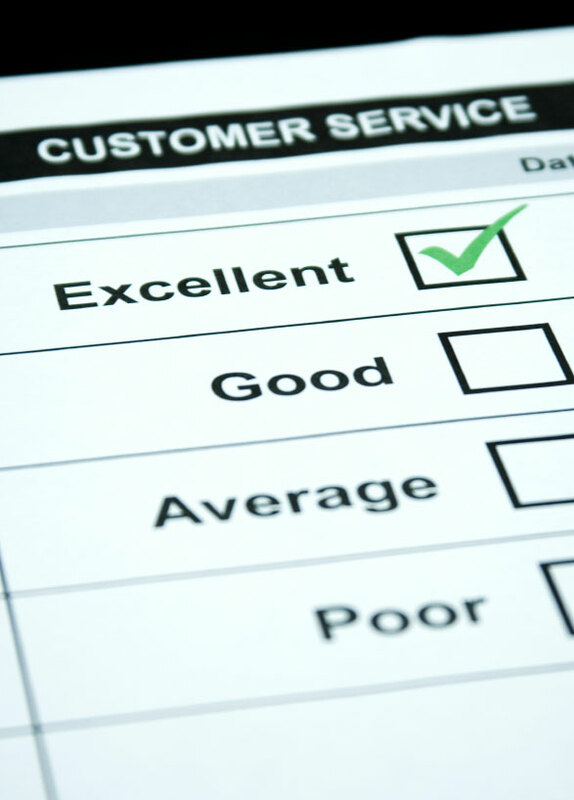 Reliability is incredibly important in a customer service relationship. Go the extra mile when it won’t cost you a lot of extra time or money. A simple offer can go a long way when trying to resolve an issue with an unhappy customer. This also works well on gaining satisfaction from new customers; surprise them with something unexpected and they are more likely to recommend your business. Remember keeping customers is just as important as gaining customers if not more important. Give your customer more than just a reply.